The common thread in today's "Think Beyond" event, where HP announced two phones and a tablet was that they were all powered by the newest iteration of HP webOS (2.2 for the phones, and 3.0 as the tablet version), what began as Palm's light and efficient mobile operating system. 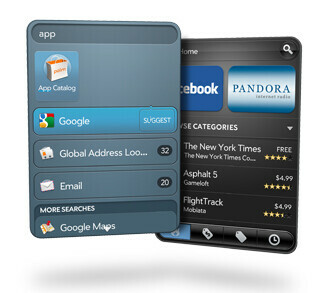 We all know how good webOS is at multitasking with its card view, and how handy its universal search and Just Type are. These functions stay, but a ton of new stuff is added to bring it up to par with the latest in the land of mobile OS. Jon Rubinstein mentioned they have included more than 50 new features, like voice dialing and VPN suport. While these don't sound mighty impressive, just playing catch-up with the best out there, the actual performance demoed was rather slick. The email app on the HP TouchPad, for example, receives pane view like on the iPad, or in Android 3.0 Honeycomb tablets, supports multiple accounts and a couple of messages can be deleted at once. The messaging, Email, IM, and other notifications are unobtrusive, and can be swiped off the drop down windows. Apps can just be flicked away to close too. 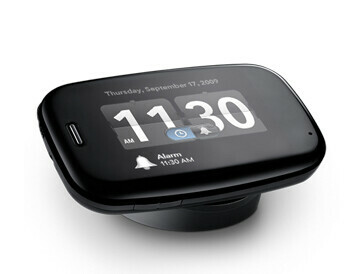 When you place the webOS device on the Touchstone wireless charging dock, Exhibition mode appears, which shows your Calendar, weather, clock and photos, context aware. Wireless printing is also taken to the next level. The printer drivers are integrated, and you can print straight from the photo app, which, by the way, is connecting your Facebook, Photobucket and Flickr albums as well. And, finally, the HP Synergy software appears to tie in your personal and professional contact and communications, and have them all synced up in the HP cloud. HP demoed partnerships, hence apps, with Skype, Amazon (Kindle), Dreamworks, Time Inc., Sports Illustrated, and some others. Cool 3D games were presented too, with webOS aiming to be one of the best for gamers. We'll see about that. The new Touch to Share function is actually the coolest thing - you tap the HP TouchPad tablet with the Pre 3, for example, and the website you were just browsing, with some needed info, magically appears on the phone. The same goes for sharing documents, pretty nifty. 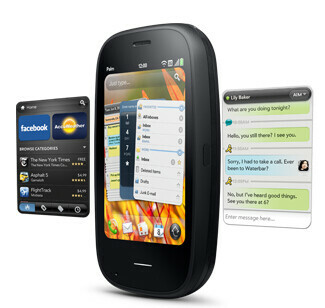 All in all, webOS keeps its best features, and new ones are added, which raise it up to the best out there. Now all we need is apps and more apps. We saved the best for last. HP dropped the bomb, announcing that webOS is expanding its horizons to a number of devices with "different form factors" like printers and, get this, HP computers. That part with HP desktops and notebooks, powered by webOS really came out of nowhere. HP claimed this miracle will happen later this year, and, knowing the computer giant's revenue, R&D reach, and the fact that it ships 120 devices like computers and printers per minute, Microsoft's life just became tougher. And to think all this happened because Google pushed the open source Linux envelop. I cannot wait to see what they have to offer. I would love to hear that my super slow Windows OS will be switched to a faster OS that is much easier to use and doesn't hog 1-2gigs of memory just sitting still. I doubt they will retrograde laptops. Bring on the innovation.